We specialize in Medical, Electronic, and very small devices. Many of our vibratory feeders are CNC cut out of a billet for precise accuracy. If you are looking for a vibratory feeder company look no further you have arrived. Not certain where to start with your automation projects? Technavibes can send an expert to your facility, look over your processes and give guidance on how and where to automate your factory. We deal with automation companies across the country which all have specific industries they accel in. From Electronics packaging to Contact insertion and plastics assembly we have experience with every industry. With over 30 years in the automation industry and dealing with hundreds of companies We can provide insight, theory of what will actually work with your projects and outside services exactly for your needs. You got O rings? We got the feeder for them! The best way to beat this lousy economy is to automate. 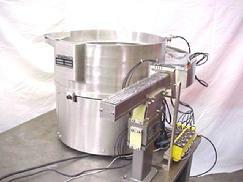 Using Vibratory feeder bowls is an inexpensive way to cut labor costs. 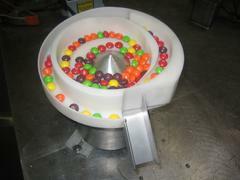 Technavibes Vibratory Feeder bowls can be manufactured to your specifications quickly. 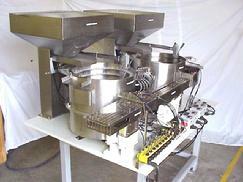 We build multiple lane multi bowl vibratory feeder applications like this one that feeds pipettes into a racking system. 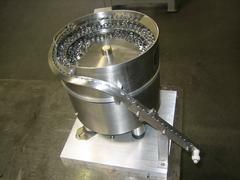 Our Feeder bowls are all stainless steel and fabricated and machined to tight tolerances. By utilizing Multi Axis CNC milling stations we are able to manufacture to exacting standards. 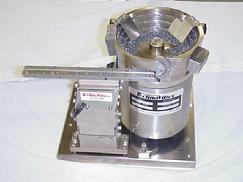 This Vibratory Feeder system has been reproduced over 100 times. each are identical. Vibratory feeders, Hoppers, Inlines, controllers, tables, you name it if it is a feeder system we build it! 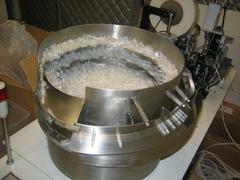 Technavibes builds Vibratory feeders in California and deals with companies all over the world. 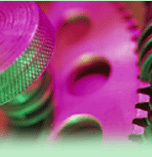 We utilize local Automation companies in California for Vision selection and other automation services. Our feeder bowls are quite diverse in size and components we feed. We make linear drivers from 3" to 36" long. 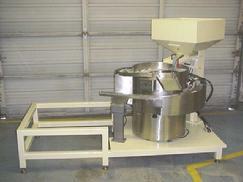 Vibratory feeder bowls are built to your specifications to fit into your parameters. Conveyor hoppers or vibratory hoppers. Call us with your needs. Just because we are a California Feeder company doesn't mean we don't service everything we build, anywhere we sell it. We will fly wherever we need to service our products. However the best service is to build it right the first time!